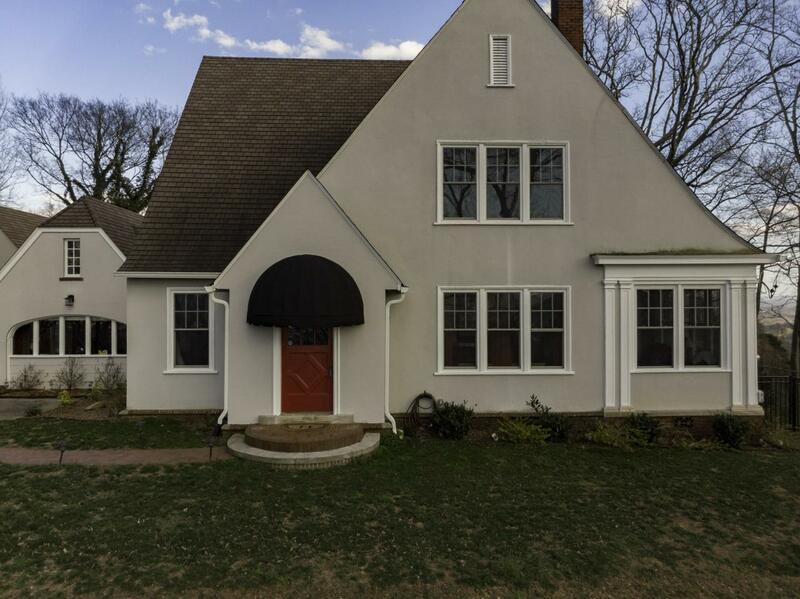 Beautiful, 3 bed 4 bath 1930s Tudor on private street atop Missionary Ridge with nearly 360-degree views of city & N Georgia mtns. This home offers fabulous outdoor living space with covered patio overlooking woods and swimming pool. 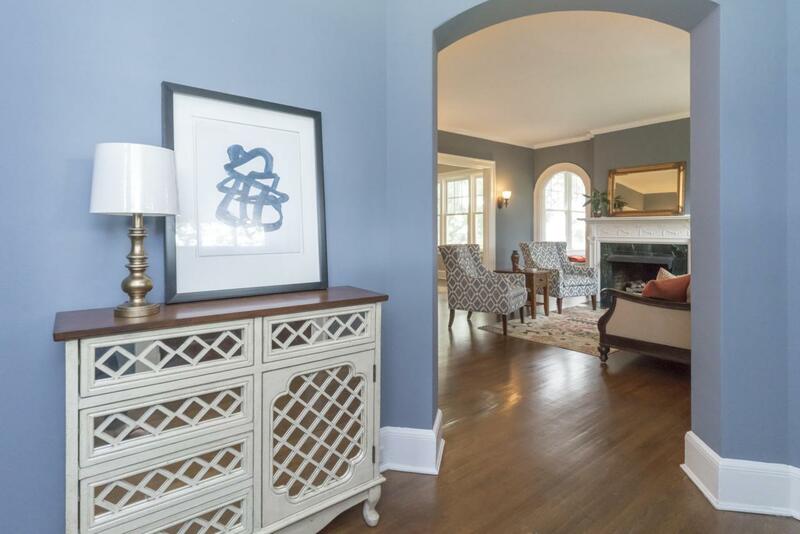 Interior boasts 9-foot ceilings, spacious rooms, original hardwoods (recoated throughout) & period moldings. Main level has bedroom with ensuite bath, butler's pantry with built-in desk & cabinetry, spacious laundry & bonus room with original brick wall opening to poolside patio. True master is upstairs. 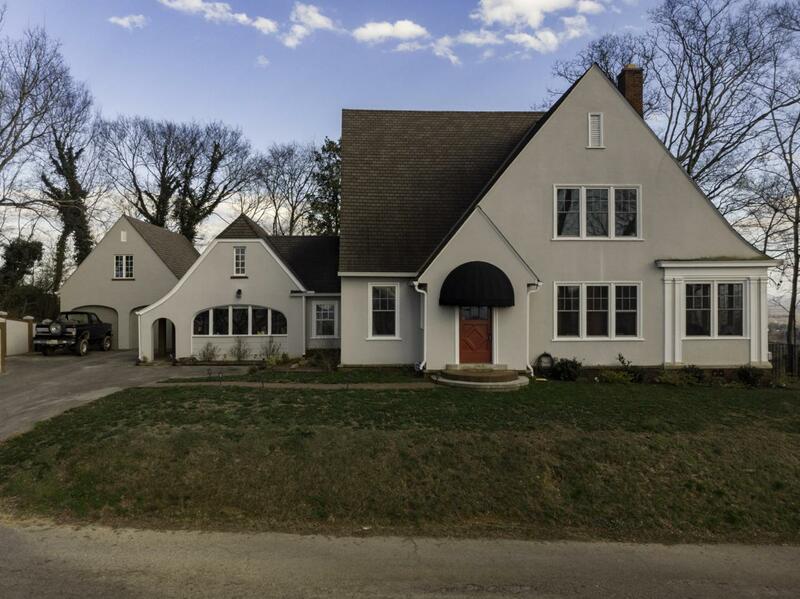 An additional bedroom, two updated baths & sunroom complete second floor. Other improvements: pool converted to salt water; new appliances; new sprinkler system, water & sewer lines; tankless water heater, brick & iron fence around pool, spray foam insulation.In the rear of the spacious two-car garage, a fully finished room is currently used as a fitness studio. 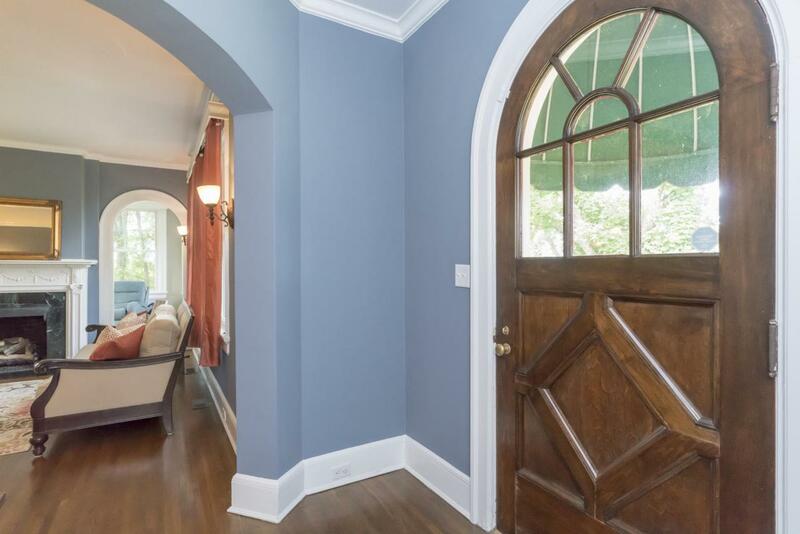 New windows and updated plumbing and baths allow you to enjoy the charm and grace of yesteryear with the convenience of modern living, all minutes from downtown! Two buildable lots at the front of property are included in price.